By the time we arrived in Havana we’d been in Cuba for the best part of 4 weeks, having already climbed its highest mountain, swam in the North Atlantic ocean, and made the pilgrimage to Che Guevara’s mausoleum in Santa Clara but we knew that the capital held the majority of the sights and activities in Cuba. We were also looking forward to a bit of culinary variation and excitement as we were getting a little tired of processed cheese and ham sandwiches! We’re planning a post about our experiences of Cuban food, but first here are my highlights of our time in Havana. 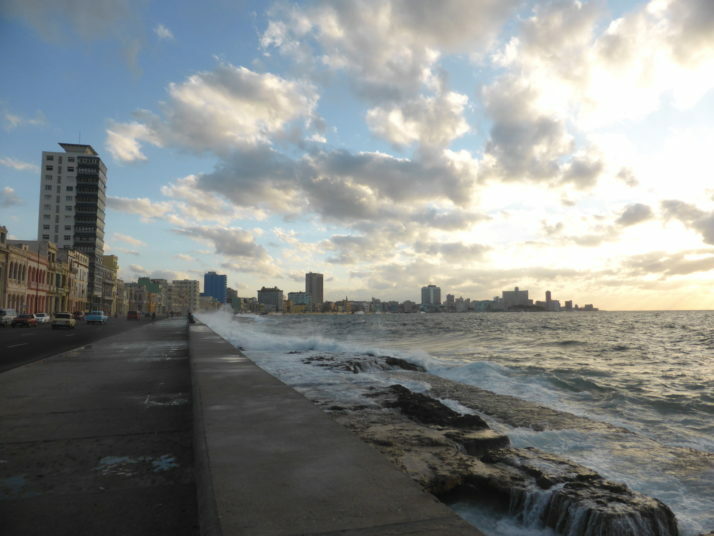 Perhaps because we live near the sea in England I couldn’t get enough of Havana’s Malecón – the 8km (and growing) seaside promenade that curves its way along the northern shore. We walked most of it from the Castillo de la Real Fuerza in the east to Hotel Nacional and the Monte de las Banderas in the west. It was busiest late in the evenings when locals and tourists alike would congregate at the eastern end near the Castillo de San Salvador de la Punta to watch the sunset. 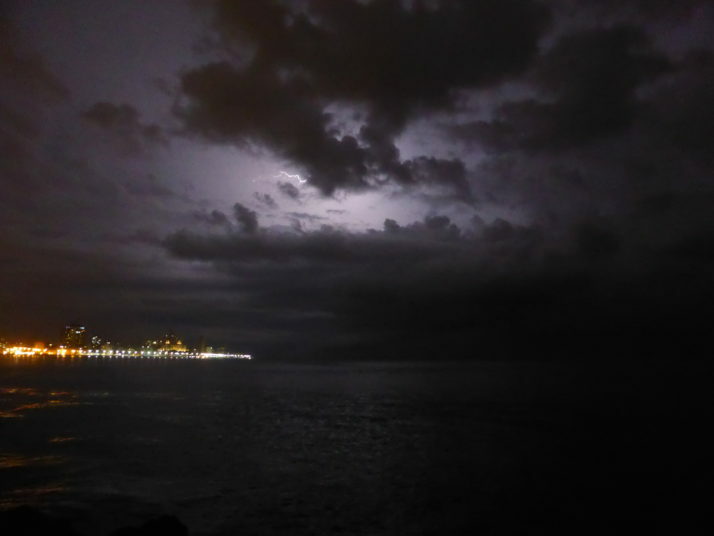 As it was just a couple of blocks from our casa we even ventured out to the Malecón during a thunderstorm to try and photograph some lightning! We had fun trying to photograph the lightning, and then getting back to our casa before the rain hit us! Throughout Havana we often heard a particular song blaring from bicycle taxis and I thought it included the word Malecón, so I looked it up and sure enough, it does! 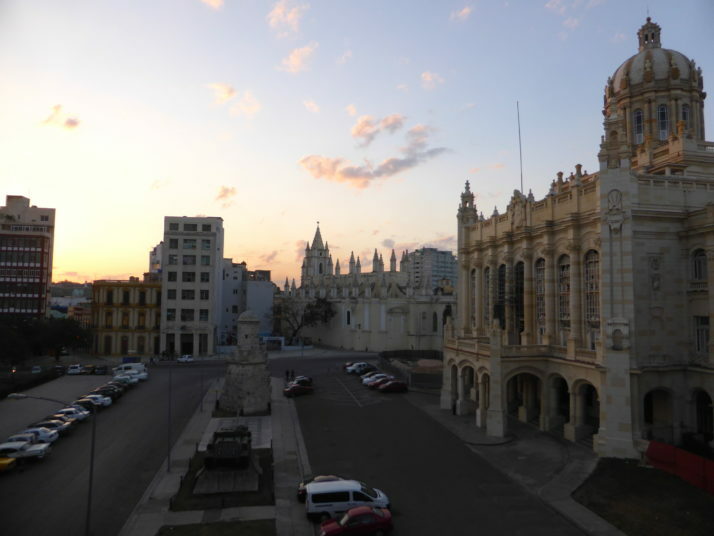 Havana Vieja or Old Havana is the heart of the city and the quintessential image of Cuba; grand restored Spanish colonial buildings surrounding wide open squares. Havana maintains the laid-back feel of the rest of Cuba. There isn’t as much if any of the heads-down metropolitan rush-hour crush we’ve experienced in almost all other capital cities. I suspect that’s a factor of the heat as it’s just impractical to rush around, and the primary business, particularly in the Old Town is tourism and not on-the-clock office work. The 4 main squares are all beautifully restored along with the main destination buildings such as the Capitolio, and work is starting on the buildings in the main connecting streets but there is still a lot to do if the aim is to return the entire city to its former glory. For us, we loved the contrast of completed and complete wreck often just a corner away. We saw a few gorgeous free-standing facades held up by little more than tree roots fronting tumbled-down insides. 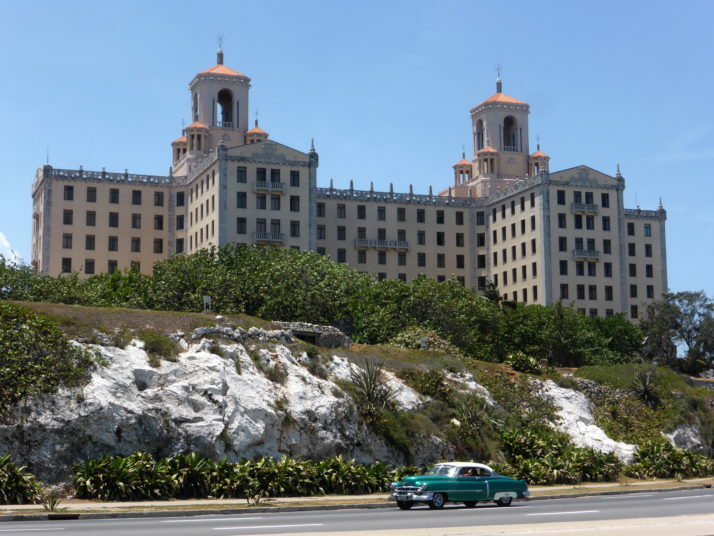 The National Hotel of Cuba sits with an enviable position overlooking the Malecón. 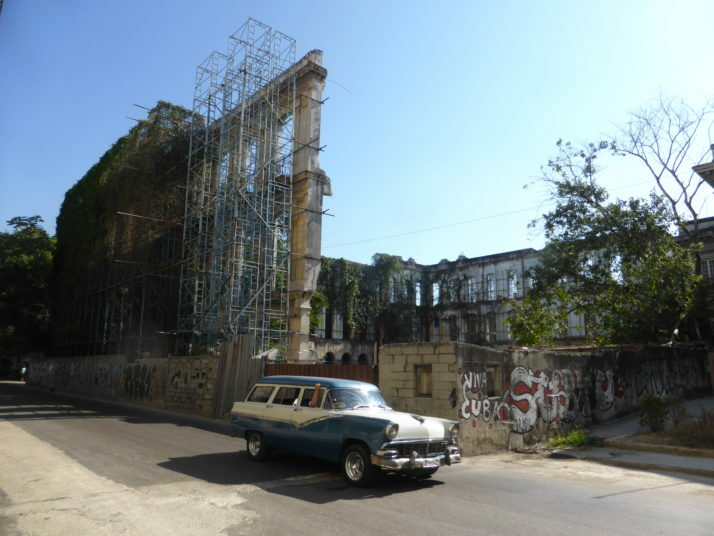 It’s the most prestigious state-owned hotel in Cuba, and if you’re a guest of the country this will be your accommodation. It’s also open to mere mortals, albeit those with a larger travel budget than us! We’d had a quick look around this very swanky hotel, but returned a few days later to take them up on their free guided tour which is usually at 10am and 3pm Monday to Saturday. Our guide was the diminutive, pleasant but slightly scary Estela – think Frau Farbissina from the Austin Powers movies. 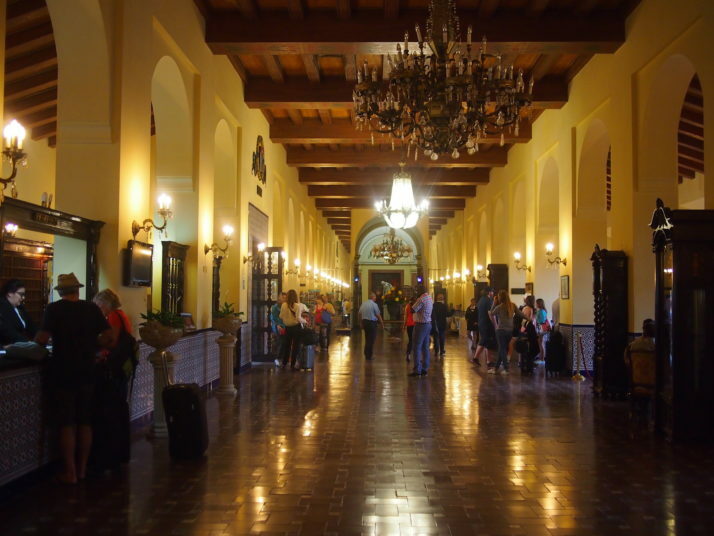 The lobby of the Hotel Nacional de Cuba. The ceiling is painted to look like wood, but it’s actually concrete! 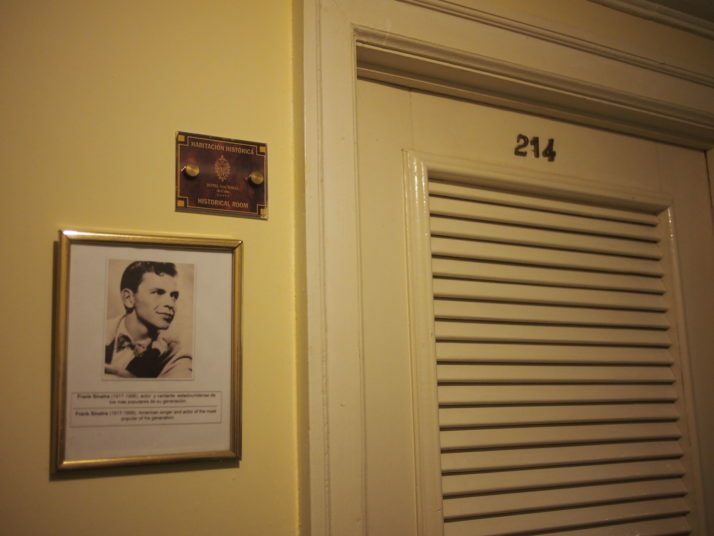 Estela explained the early history of the Hotel to us in the lobby, then we took the lift to the 2nd floor which was booked in its entirety by the American Mafia attending the 1946 Havana Conference. After showing us the suite Charles “Lucky” Luciano stayed in (yours for only $1,000 USD per night, including breakfast), the tour continued in the gardens overlooking the Malecón and the sea, where there are two large coastal cannons preserved from the original Santa Clara Battery that stood here in the late 17th century. Just past the cannons are a series of bunkers and walled tunnels underneath the gardens that were constructed during the height of the Cuban Missile Crisis as part of Havana’s defences. 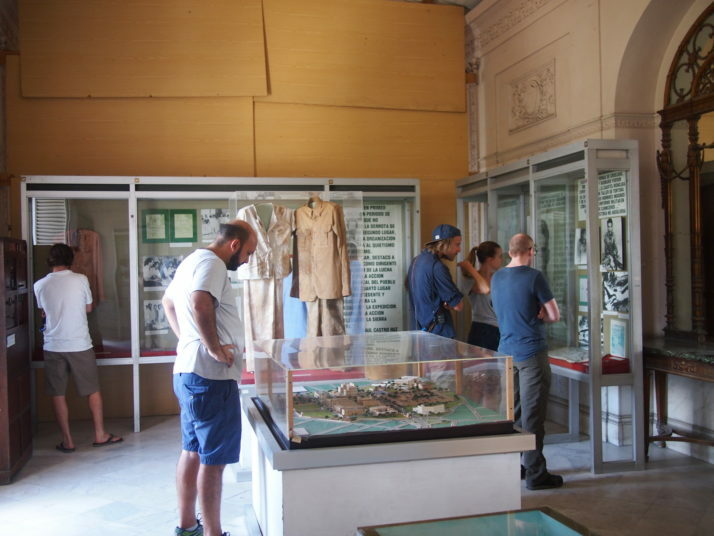 Now they contain a small museum with details of the lead up to the Soviet Union’s support to Cuba which was a completely unexpected twist to the usual hotel tour and a very enlightening display. Quite by accident we found ourselves in the capital during a national holiday, just like we’d done for Victory Day in Moscow. 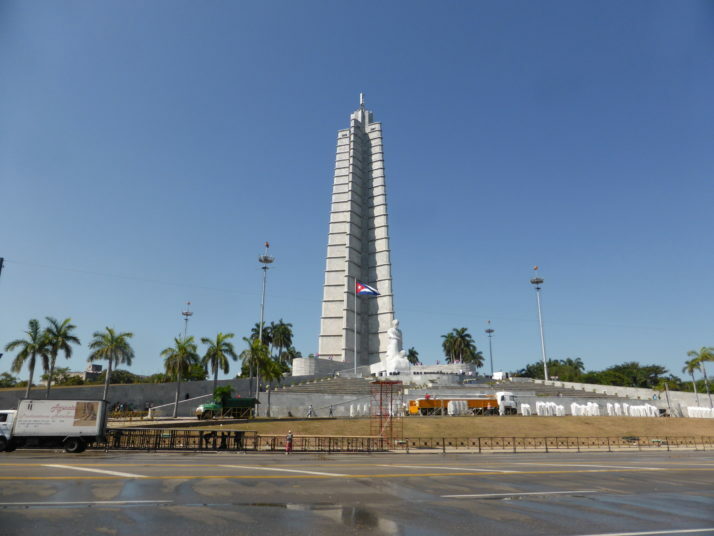 The 1st of May is Worker’s Day and is celebrated in Havana by a long march through Revolution Square. Revolution Square on the 1st of May Worker’s Day celebrations. Where did everyone go? 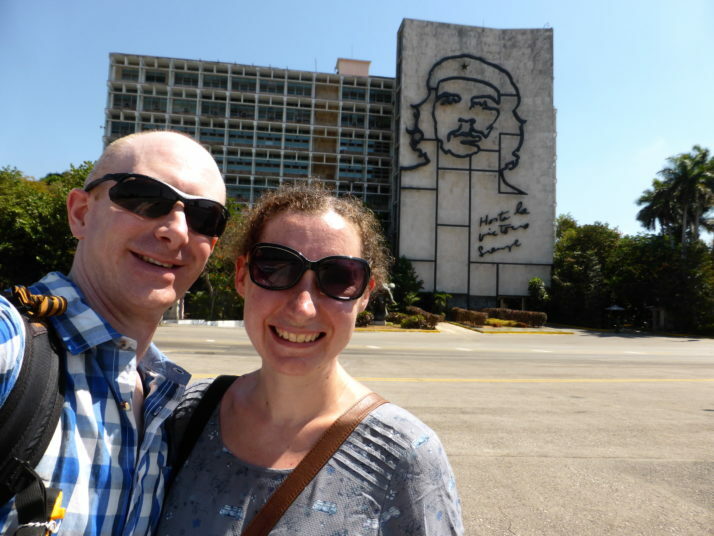 We asked our host Olga about it and she immediately turned on the TV where we saw president Raul Castro waving at a river of people from the giant José Marti statue and mausoleum in the square so we gathered our stuff and headed for the action. 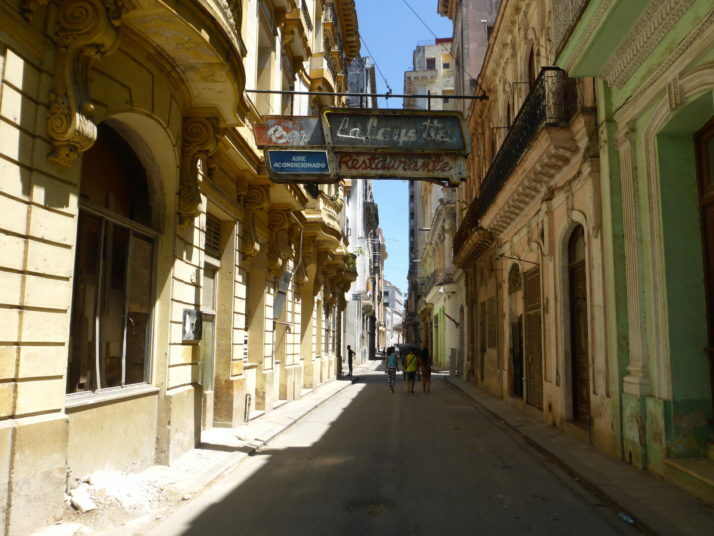 It took us about an hour and half to walk across Havana, only to find that we’d completely missed the party! In a heretofore unexperienced show of speedy organisation, the entire event had finished, the road hosed down and stage, scaffolding and seating was all but dismantled. We honestly couldn’t believe our eyes – this place was packed less than 2 hours ago! Having utterly failed to join the party, we took lots of photos and some selfies instead. Oh well! Yes, another cemetery! 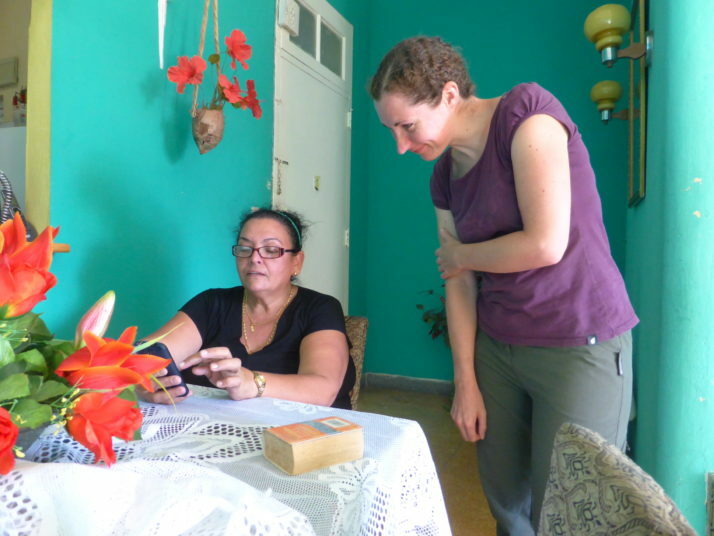 Julie covered it in our Cemeteries of Cuba post but I wanted to mention it in my highlights too. 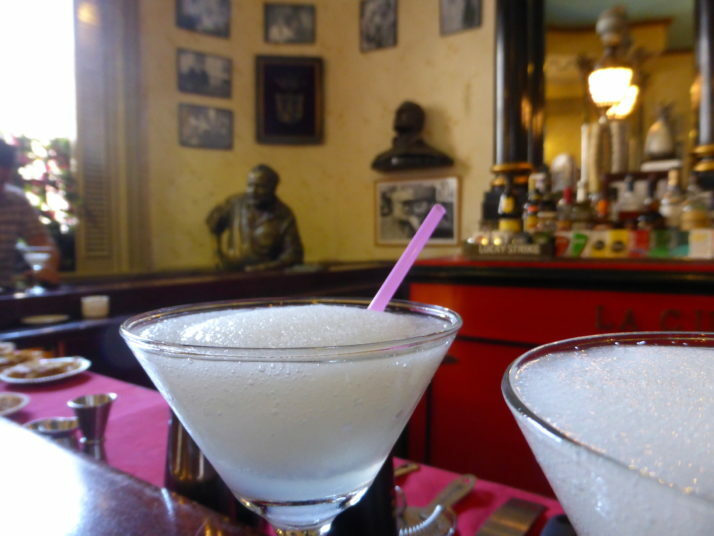 There are a couple of famous bars in Havana, the most famous is unquestionably La Bodeguita del Medio which we didn’t visit, followed closely by El Floridita which we did, and is the birthplace of the frozen daiquiri. Frequented by Ernest Hemingway which the establishment, perhaps, mentions a little too often, we were passing by one hot afternoon and a daiquiri seemed like a splendid idea..
We put off the capital’s Revolution Museum for a rainy day that thankfully didn’t come, but also because we kind of felt that as we already had a pretty good grasp of the Cuban Revolution, the fairly steep 8CUC (£5.60) entrance fee wouldn’t be worth it. 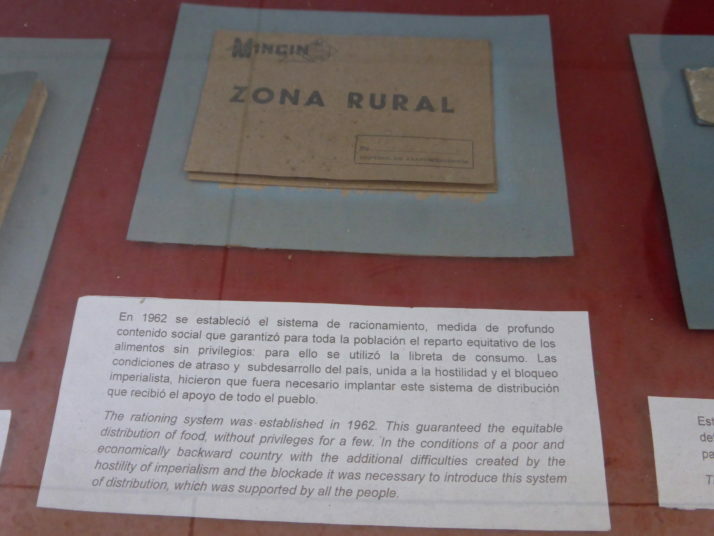 I’m glad to say that we were wrong, if only for the section right at the end that detailed the Revolutionary Government in power in the years following 1959. 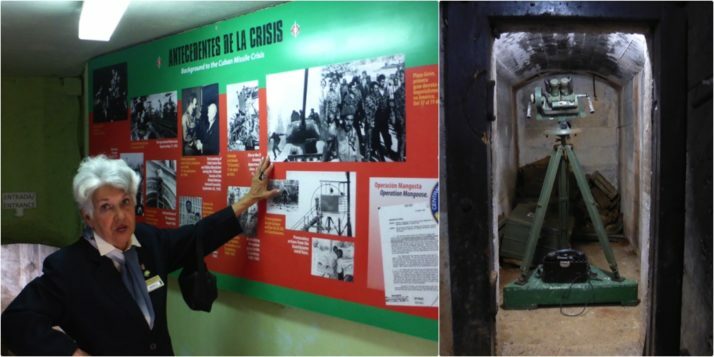 While the rooms covering the history of the Revolution filled a few gaps we had about the timeline of events, the claims of aggression from a Communist-fearing U.S.A. and the details of the rationing during Cuba’s Special Period were fascinating. For that reason I’ve included it in my highlights! For my final highlight, I’m going to pick our host Olga who took an instant shine to us and my quirky sense of humour especially. Thanks for taking such good care of us Olga! 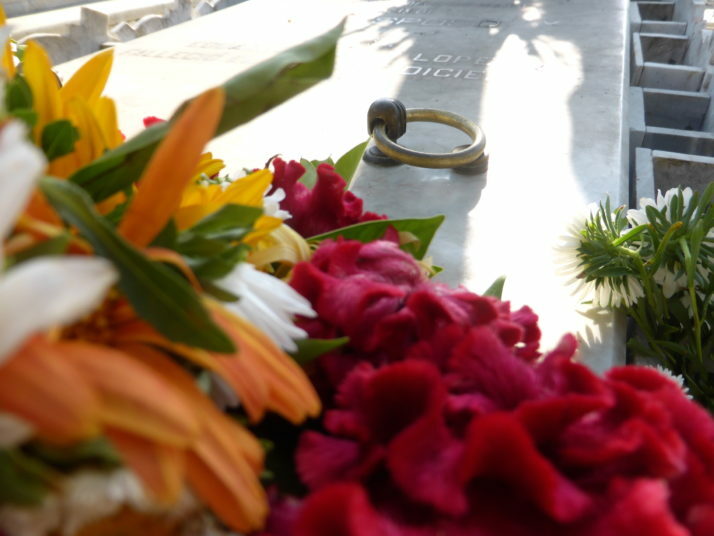 This entry was posted in Accommodation, Experiences, Places and tagged Architecture, Cemetery, Cuba, Cuban Revolution, Havana, Museum on June 13, 2016 by Andrew. We didn’t rent a car in Cuba so I’m afraid we can’t offer any advice. We used the Viazul coaches to get between cities and found them fairly comfortable and easy to use.